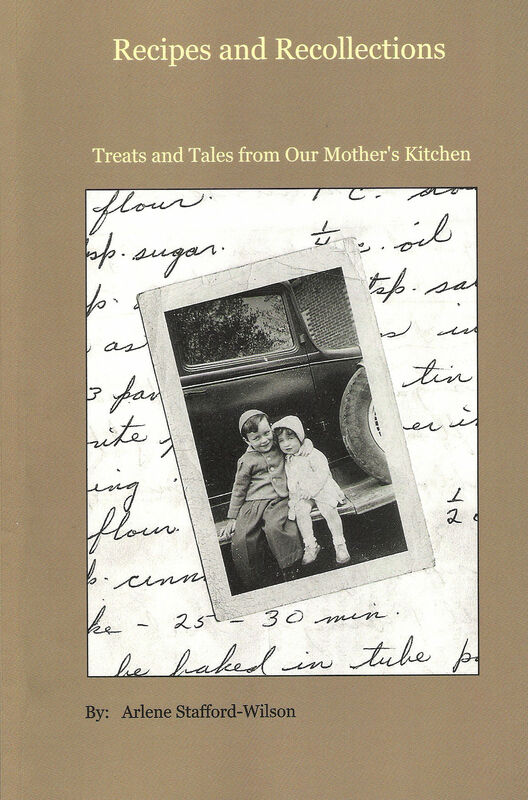 Recipes and Recollections Treats and Tales from Our Mother’s Kitchen is now available in three local book stores, Mill Street Books at 52 Mill Street in Almonte, Ontario, The Bookworm at 76 Foster Street in Perth, and The Book Nook at 60 Gore Street E., in Perth, Ontario. For over two decades Audry Stafford won countless baking competitions at the local fair in Perth, Ontario. Because of her continued success over the years she was asked to become a Judge and she served in that capacity for many years at numerous county fairs throughout Eastern Ontario. In this book her prize winning recipes are assembled for the first time, her fool proof never-fail pastry, decadent cookies, creamy rich fudge and her much sought-after rustic sour dough recipes, to name a few. Audry and her husband Tim were serving in the Royal Canadian Air Force when they met and married in 1943. After WWII, they purchased a farm on the third concession of Bathurst Township in Lanark County where they lived for almost five decades. Join Audry’s five children as they take you back to a simpler time, growing up on a farm in the post-war years in rural Ontario. Follow them through the seasons, from the maple syrup production in the spring to the all important fall harvest and even memories of their old fashioned country Christmas. Recipes and Recollections is an unforgettable journey back in time, written for Audry’s grandchildren. The stories will bring a smile to your face and the award winning recipes will delight your palate. This entry was posted in Author Events & Book Signings and tagged books, lanark county, local history, Perth, recipes.